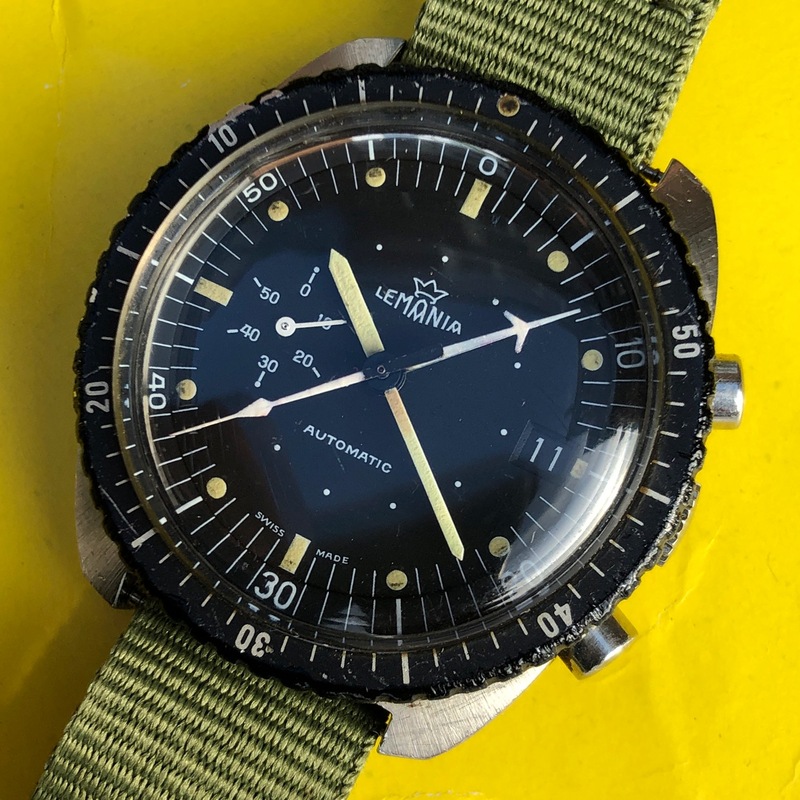 The SAAF had been commissioning pilots’ watches from Lemania since the late 1950s. For this particular model, the 5012 calibre, the SAAF procured two batches of 400 watches each in 1980. It’s uncertain just how many remain in existence today, but there’s an interesting and often repeated story to be found here regarding the sad fate of a number of them: http://www.wix.com/rbasson/saafwatches#!